With the release of Going in Style on Friday we’ve been thinking about the best heist scenes in film so get your team, your gloves and safe cracking tools together and settle in, here are five of the best heist and robbery scenes that film has to offer. A heist is made up of many moving parts. Once you’ve grabbed the cash, merch, stash, whatever you’re calling it, it’s time to make like bananas and split, quick, because a robbery is only as successful as the getaway. So, bringing up the rear in position number five is the opening scene, the one that introduces us to the scorpion emblazoned jacket wearing, toothpick chewing, driving gloves sporting Driver (Ryan Gosling) and all his ability behind the wheel. Nicolas Winding Refn’s opener is beautifully shot, lit, edited and timed and creates fist clenching, nail biting suspense. The camera never leaves the car, bringing you into the action and the psychology of the Driver himself. Ben Affleck’s second film after Gone Baby Gone, The Town, is a crime thriller set around a group of guys who’s bank robbing ways are an inherited birth right and by product of being from Boston’s crime capital Charlestown. The film consists of three bank robberies, each more elaborate and risky than the last. 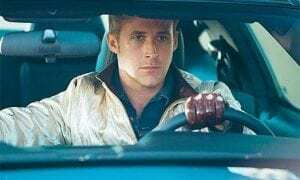 Here the nuances and psychology behind the robbery and robbers takes more of a back seat and the climatic rob-job moves into more standard shoot/chase territory. But, it’s thrilling stuff and Affleck keeps the pace and injects impressive visual flair into all the robberies. Bottle Rocket is as much a heist movie as it is an even paced, slacker comedy that lopes along with boyish charm, documenting the disillusioned dreams of grandeur of a group of 20-something year olds. The heist is central to the film characters’, or so they believe, desire to push past their inert existence. Wes Anderson’s Bottle Rocket is a great heist film not because an impressive, elaborately planned and precise job goes off without a hitch, but because of exactly the opposite. It’s a terrible and poorly thought out plan, by a bunch of kids whose only insight into the criminal world is probably through the films they’ve seen on TV and a second rate, part time burglar. But, through this Anderson paints a beautiful portrait on friendship and the search for purpose and belonging. 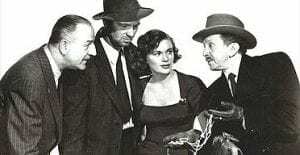 The Asphalt Jungle is, arguably, the film that started it all, that birthed the heist film genre. You’ve also got it to thank for Marilyn Monroe, this was her first speaking role. Based on a novel of the same name, John Huston directs a powerhouse picture that is confident and sturdy and looks balanced and slick. It put a completely different spin on the way we view crime, which until this point had generally been portrayed in the gangster films of the 1930s as a route to power and public notoriety. These are quiet criminals, the product of the asphalt jungle in which they live. They treat the opportunity to make a score like a job and for the first time you get an up close look at the precision and planning that goes into pulling off a full fledge heist. The robbery itself plays out like an 11 minute ballet, orchestrated to near perfection. The Asphalt Jungle challenges preconceptions on criminality and humanizes the characters that inhabit the criminal underworld in a way which had never been done before. 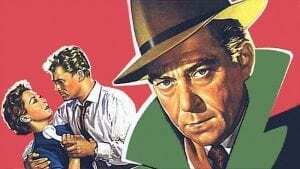 John Huston’s The Asphalt Jungle may have defined the genre, but Rififi took it to soaring new heights. Directed by blacklisted American director Jules Dassin, this film too was based on a novel of the same name. After a five year stint in the joint, Tony (Jean Servais), teams up with Jo (Carl Möhner), the man he took the wrap for, and two others to pull off a heist on an upscale Parisian jewellers. 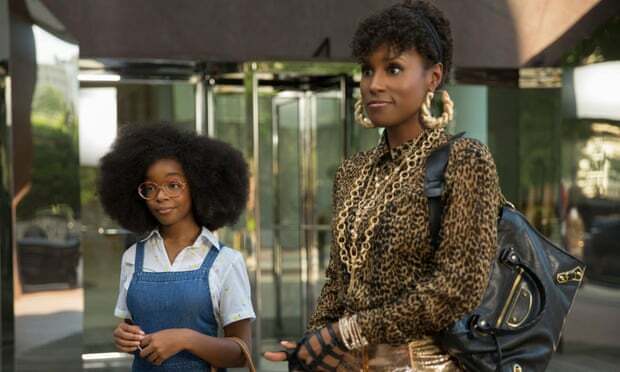 Following days of painstakingly meticulous attention to detail and planning – part of which involves having to work out how to bypass a state of the art, vibration sensitive alarm system – the film enters a 30 minute robbery. What’s most remarkable is the whole things plays out without a word of dialogue, or any sound for that matter, being spoken, only the carefully calculated knocks and bumps of the teams tools as they work their way into the building and safe. It’s a work of cinematic gold, stunning patience and so tense the collective sweat of Tony, the crew and you could fill a toddler’s paddling pool. Rififi is a spellbinding, atmospheric tour de force of a heist thriller that must not go unwatched. Going in Style is on general release from Friday April 7th.